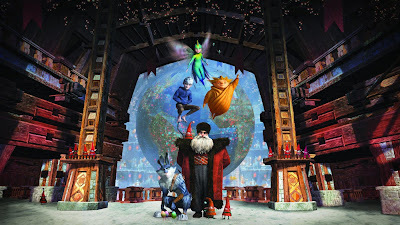 A huge world globe featured in DreamWorks Animation's The Rise of the Guardians. Called 'The Globe of Good Children', this globe served as the main device for monitoring the quality of children's faith (in the guardians) all over the world. While the movie tackled the differences between hope and fear, love and hate, good dreams and bad dreams, the globe itself served as a symbol of this Yin-Yang conflict. 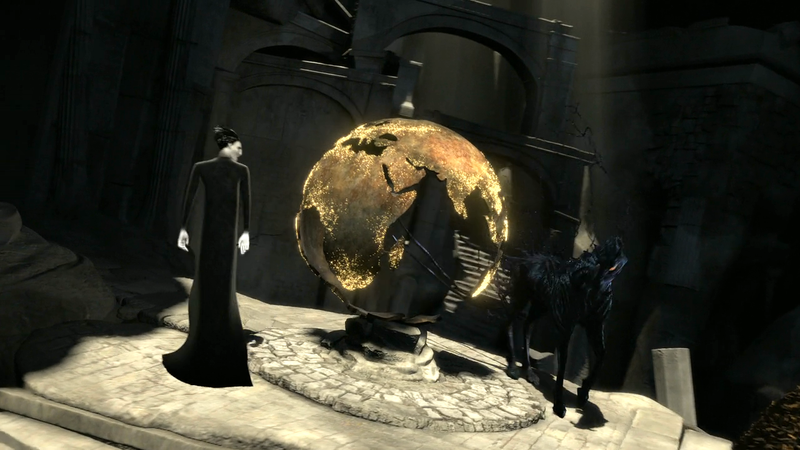 For example, in the movie, Pitch the Boogeyman – looking like the black-sand version of the Sandman – had his own version of the Guardians' globe. This was not as huge. 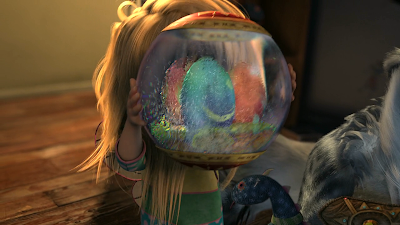 But its most distinguishing quality is that it wasn't a complete sphere, the suggestion of a sphere was made by the curving dark shapes of the landmasses looking like dark dried up orange rinds with tiny yellow firefly like lights on them to show the children's location – the fewer the lights, the better for the Boogeyman. 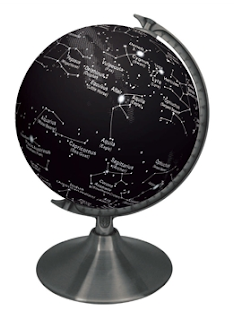 This opened-up globe's styling suggests the darkness, emptiness, unhappiness, and misery of evil. In contrast, Image Comics' Guardians of the Globe do not show globes as a motif. Not even as a feature. It's just that what they mean by 'globe' is the actual globe of the earth. However, both the Guardians (of children) and the Guardians of the Globe guard the earth from all who seek to harm it and its inhabitants. 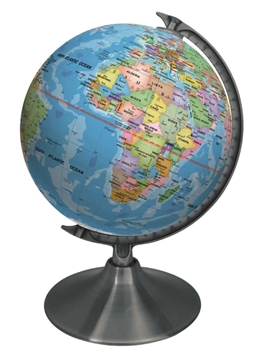 Ultimate Globes has its own globe with a light and dark character – a Dr. Jekyl and Mr. Hyde globe, in a manner of speaking. The Earth by Day and Night globe looks like an ordinary blue teaching globe by day. But, once in the dark, and you turn on the globe's lamp, it will show a beautiful globe of the common constellations in the dark night sky. Unlike Dr. Jekyl and Mr. Hyde, there's nothing sinister in this globe, only fun and enjoyment.